Growing transplants is a great way to jump start your garden each year. Carefully done, it can result in earlier harvests, and an all-around greater yield from your gardening space over the course of a growing season. Another added benefit is that it allows the gardener to get back into gardening months before the soil outdoors is able to be worked. 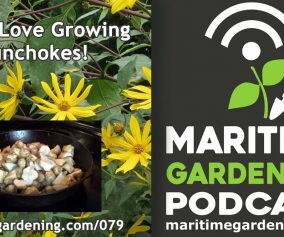 In this episode we talked about when to start transplants, different growing systems, and what plants are not worth starting as transplants. Don’t start anything too early! If you start your transplants too early you will encounter a number of problems. For one, they will exhaust the nutrients in the soil long before it is warm enough to move them outside and you will need to fertilize them. This can be tricky because too much fertilizer can hurt or even kill transplants, and it is just a tedious task that is unnecessary if you start your transplants at the right time. Another problem is that the transplants will become pot-bound and need to be re-potted in larger pots – another tedious task. Finally, if they have been growing indoors for months, and are large plants at the time when you move them outside, they will have greater difficulty adapting to being outdoors without a lot of careful hardening off on your part – again, more unnecessary work. 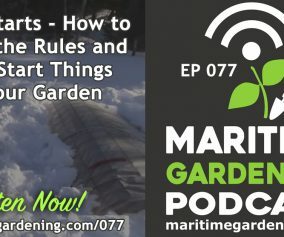 Smaller plants take up less room, require less work, require less resources, and adapt more easily when they are moved outdoors, so timing is important if your goal is an efficient use of your time. Different transplants need to be started at different times relative to when they are able to be transplanted outdoors. Hardy plants like spinach, which can be planted in April or as soon as the soil can be worked, can be started at the beginning of March. Semi-hardy plants (kale/kohlrabi/lettuce/etc.) that can be planted at the beginning of May should be started around the end of March or the beginning of April. Tender plants that cannot handle any frost (tomatoes/eggplant/peppers/etc.) will not be moved outdoors until late-May or as late as mid-June, depending on the conditions unique to a given growing season and the microclimate where you live. These should be started around the middle of April, or even a little later if you anticipate a late “last frost date”. The most common image that many people have in their minds of growing transplants is that of an indoor enclosure of some kind with florescent lights. While this option offers great advantages in terms of achieving optimal heat levels and perfect daily availability of light, it is the most artificial way to grow anything. This means that it requires the most work at the other end in terms of acclimatizing the transplants to being outdoors. All of the conditions that exist indoors under lights (stable temperature, no wind, room temperature soil) do not exist outdoors, so a lengthy hardening off process is needed if the plants are to survive the shock of being moved to your garden. Growing in a window is essentially the same as under lights in many ways, but the only difference is that at least the light is from the actual sun, and so it should be easier for transplants to adapt to unfiltered sun when they are moved outdoors. 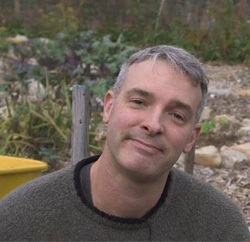 Hothouses are the best option because the plants are outdoors and getting as much real sun as possible and some degree of temperature variation – but they can be expensive to build, and for this reason, they are only an option for the most serious of gardeners who have the space time and resources to build one. For my money, I consider the coldframe to be the ideal transplanting environment. They get real sun all day long, they experience a broad range of temperature variation early in the season, and they even give you the option to plant directly in the soil as opposed to little cups – which can greatly reduce your need to water them. What plants are a waste of time to transplant? Some plants just do not like being transplanted, and require a lot of effort to transplant successfully. For my money, they are just not worth it, and are so much easier to simply straight seed when the time is right. All root vegetables (beets/carrots/parsnips, etc.) are a waste of time to transplant. I also find that squashes (cucumber/pumpkin/zucchini/etc.) really do not like being transplanted, and just put the seeds in the ground when it is warm enough. I find that straight-seeded squashes always outperform transplanted ones, so I don’t bother started them as transplants any more. Beans are also better off straight-seeded, and since peas can be planted as soon as the soil can be worked, I don’t think they are worth the effort to start as transplants. 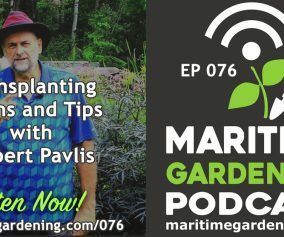 There are many advantages that can be gained from transplanting, and it is definitely worth the effort if you have the time. With all that having been said, if your time is limited, or you are just the kind of person that likes everything to be as seamless, efficient, and effortless as possible – it might be worth your while this growing season to step back and re-think your plans. 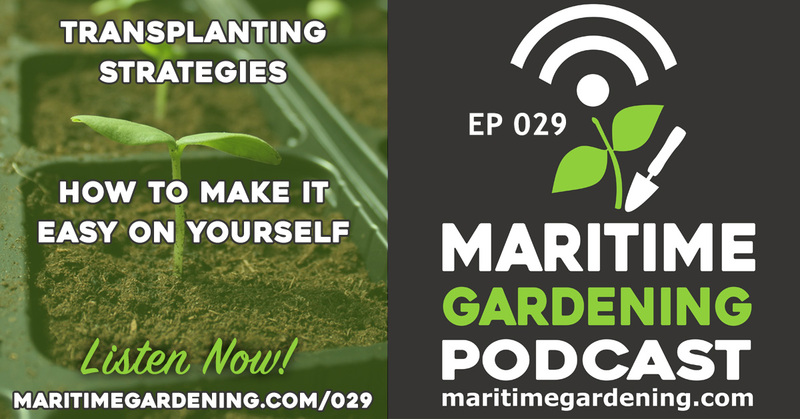 It may be the case that you can make things much easier on yourself by changing up your transplanting game. 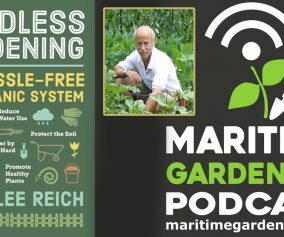 Special thanks to our podcast Partners, Kent Building Supplies and McKenzie Seeds. If you are considering purchasing seeds, transplants, or any other Gardering supplies, be sure to visit your local Kent store.